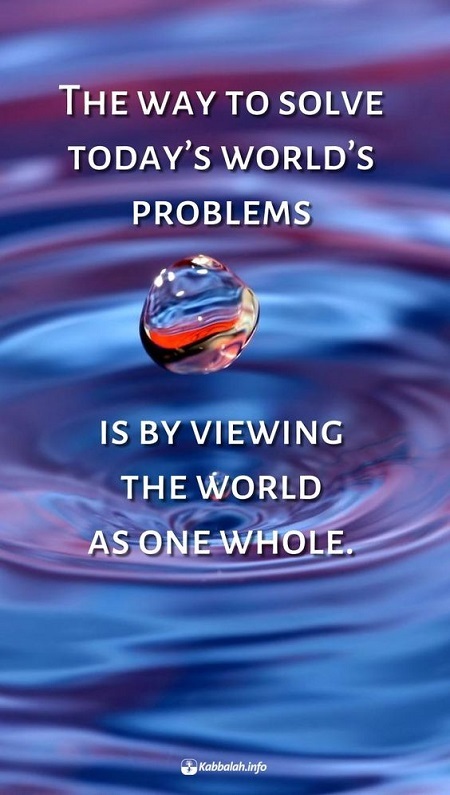 The way to solve today’s world’s problems is by viewing the world as one whole. We view life as being multifaceted due to our fragmented impressions of the world. We divide nature into different branches of science—but how many can there really be? Nature is one. We are the ones who divide it into disciplines such as biology, zoology, botany, and geography; because of our limited perception, we don’t grasp it as one. Humanity continues repeating the same mistakes because we solve problems differentially—we cannot solve a single problem because we are not internally holistic. The only way to solve today’s world’s problems is by viewing the world as one whole. There is an integral approach to solving our problems: we can transition from division and differentiation to interconnection. When we consider anything happening in the world as being part of our common world, we will no longer make wrong decisions. Unity among people awakens the single force of Nature—the force that unites and includes everything, including us.